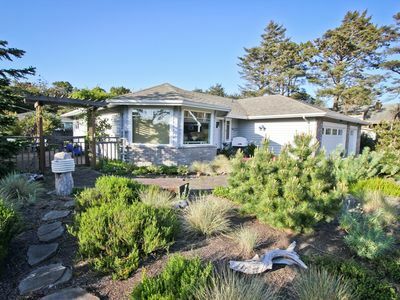 Luxurious Home W/ Bay & Ocean Views - 2 of 3 Bdrms Masters! 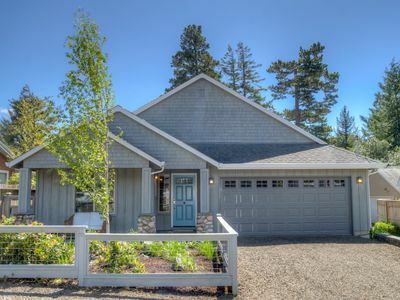 This beautiful new home nestles up to a grove of evergreens high on a hill, overlooking the Tillamook Bay and Pacific Ocean. 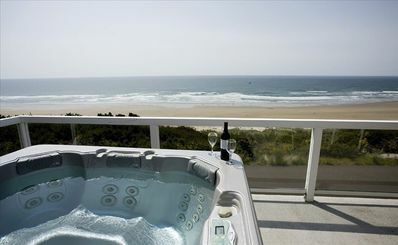 There are expansive views of the bay and ocean from nearly every room in the house. Wildlife, including dear and sometimes bald eagles are seen daily. 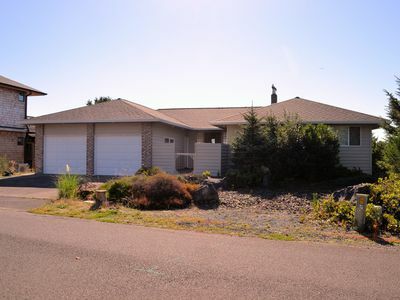 This home is ideal for one or more families. 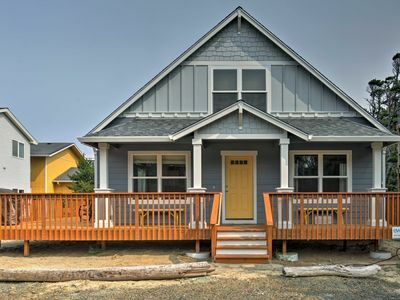 Two of the three bedrooms are master suites, each with a king size bed, a long window seat facing the water, doors to a deck, and a private bathroom with double sinks. One bedroom has a roman tub and large, walk-in tile shower. 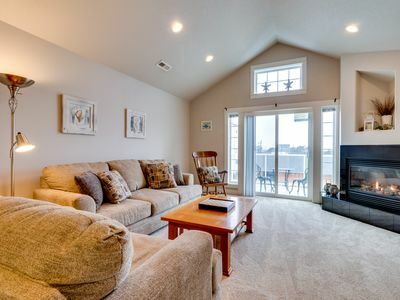 The third bedroom with two twin beds and a full-sized futon is directly off the family room which is equipped with lots of comfortable seating, a flat screen TV, a DVD player and an extensive library of movie/shows, and a stereo. A third full bath with double sinks and shower are close-by. 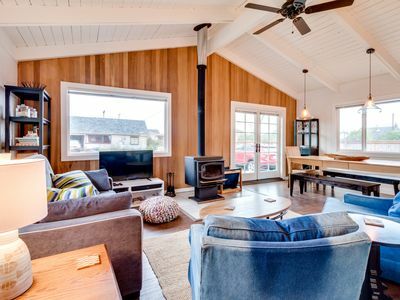 On the top floor is a more formal living area (complete with gas fireplace) that is open to the dining room & gourmet kitchen where adults can enjoy a glass of wine and chat listening to music while the kids play games or watch movies on the main floor. There is seating for six at the dining room table and additional seating for two at the bar counter. The kitchen is well equipped, including all new stainless steel appliances, microwave, toaster oven, tea kettle, and coffee maker, grinder and beans. Lots of pots, pans, baking dishes and utensils are available. There is also a 5 burner gas grill on the upper deck. 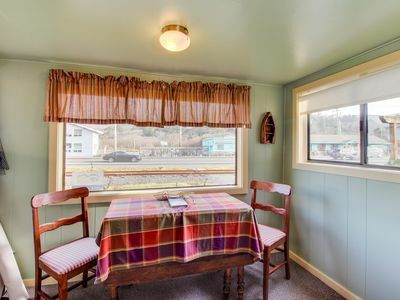 There is a half-bath and den off the open living space. 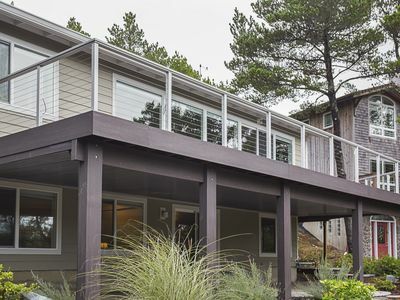 This home has stairs: one flight to enter the first floor living space, and a second flight to the kitchen, dining room and other living space. Bedrooms are located on both floors. The house has lots of board games, a foosball table, a Bowflex, a pullup bar, kites and toys. 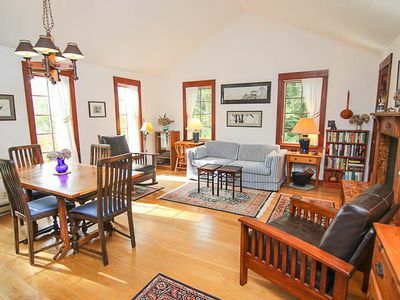 The home is all hardwood, with area rugs in the living/family rooms. We encourage shoeless living in the house. If you enjoy fishing, you will have a grand time! There are charters out of nearby Garabaldi for fishing in the bay or ocean. There are also five rivers that spill into the bay, several well known for salmon fishing. 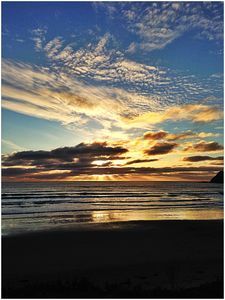 Hiking is close-by in the coastal range and Tillamook forest and several nice beaches are within minutes by car. 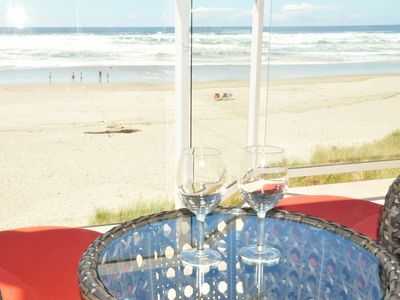 If you enjoy shopping, Seaside is north, Lincoln City is to the south. 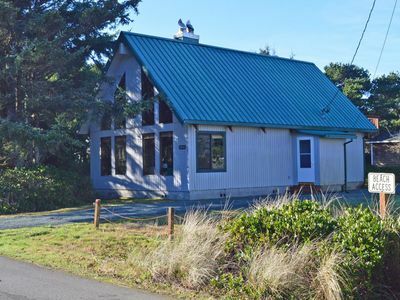 If golf is your game, the Gearhart Golf Course (the oldest course in the NW), and Alderbridge in Tillamook are very close. 8 STEPS INN~MCA 404~Steps to the beach. Stunning sunset views from the loft. 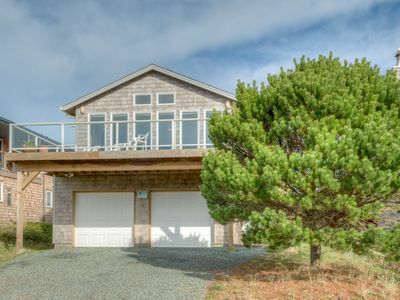 Beautiful one acre beachfront property, ocean views, sleeps 8 and pet friendly. 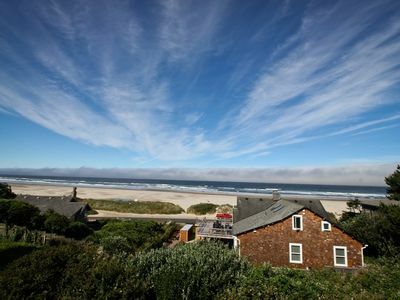 BEACH HOUSE~Spectacular views of the beach and of Neah-Kah-Nie Mountain! 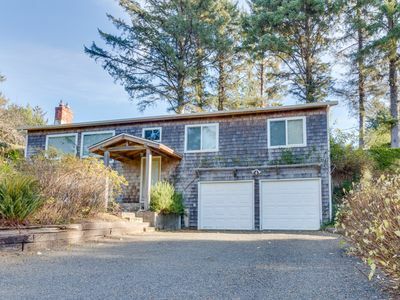 Cozy, family-friendly house w/ deck & views - near town, walk to the beach! A touch of elegance with a backyard getaway! 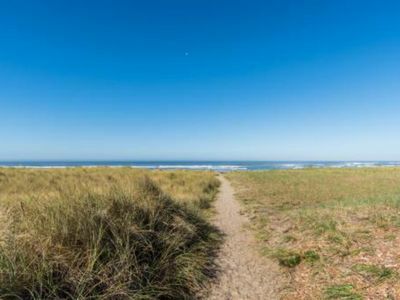 Family-friendly townhouse w/ ocean views - walk to beach & everything in town! New Listing! 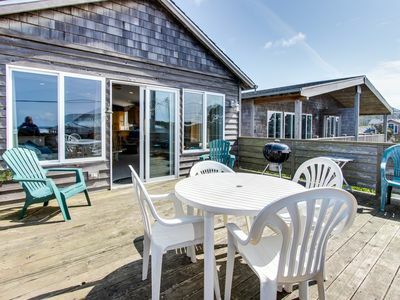 Two Bedroom, Sleeps Six, Across from Beach Access. 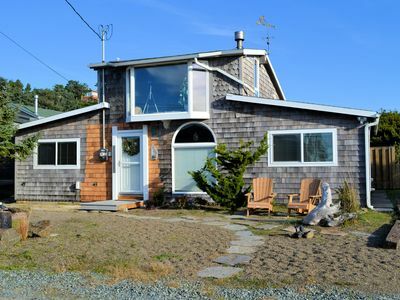 Rockaway Cottage w/Ocean View 25’ to Beach Access! 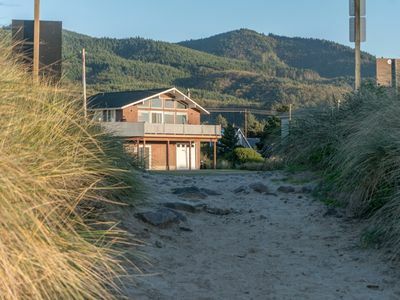 Exceptional Style in North Manzanita with Antiques, Wood Fireplace!